The 5th year began in September 1975. 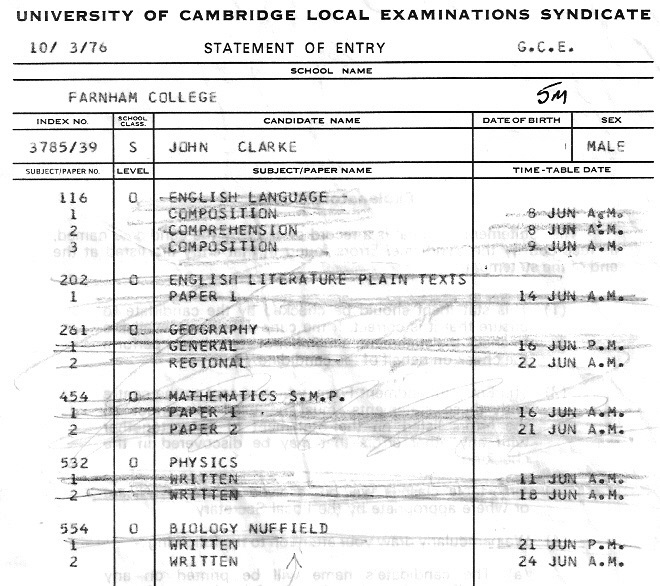 Summer term began on 28 April and finished on 23 July 1976. For some of us this was the end of the journey as we went on to pastures new outside the College. 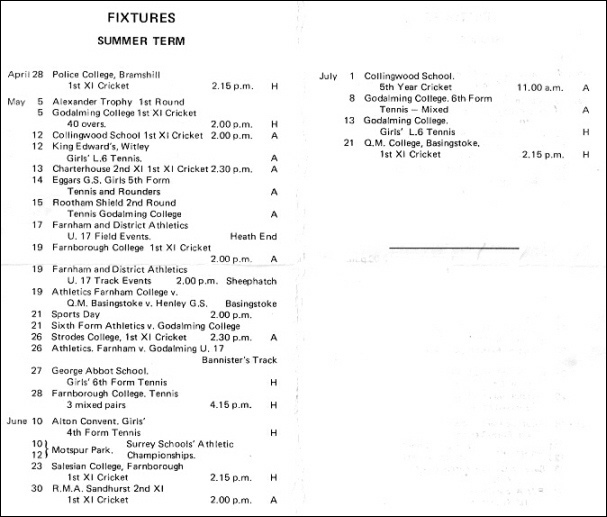 The College calendar for the Summer term is reproduced below. 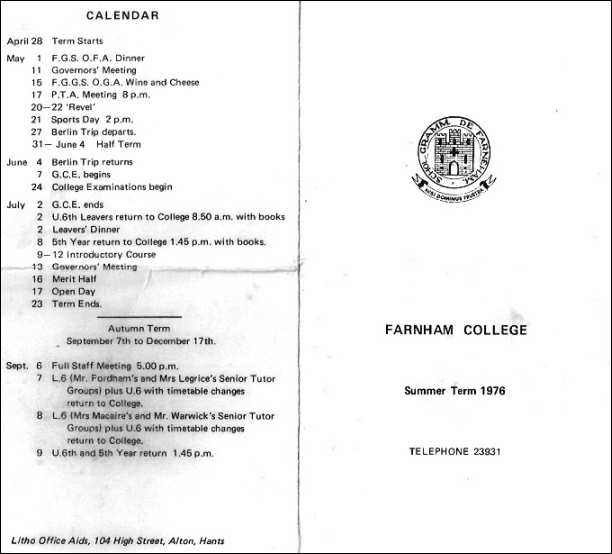 As can be seen there was a trip to Berlin (27 May - 4 June 1976), a "5th year return to College 1.45pm with books" on 8 July, and the "At Sixes and Sevens" Introductory Course for those staying on into the Sixth Form on 9 and 12 July. 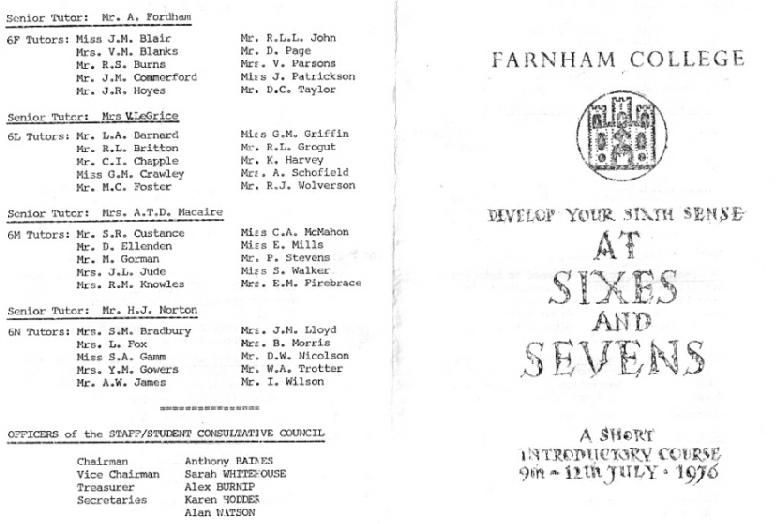 The average age for Form 5C in the Autumn of 1975 was 15 years 10 months; in the Spring of 1976 it was 16 years 1 month. The "At Sixes and Sevens" introductory course (9 and 12 July) was designed to give those of us who had decided to stay on into the Sixth Form an idea of what to expect. 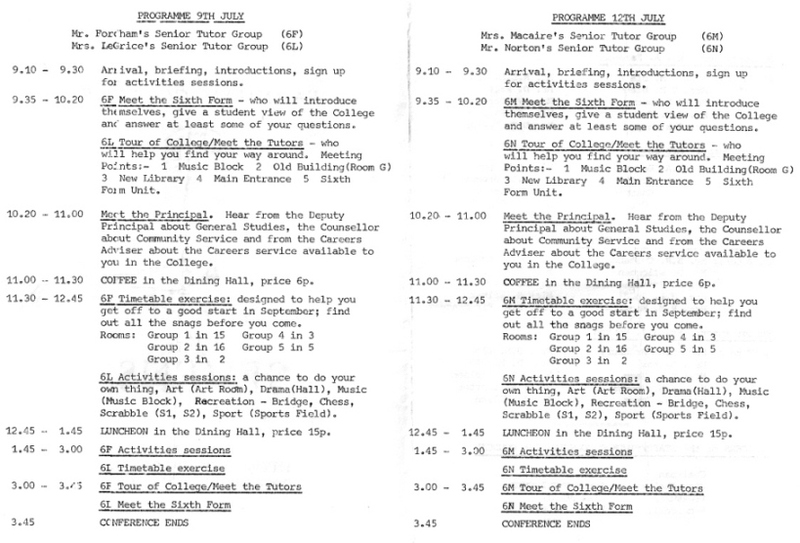 The programme was the same for each day, but with different Senior Tutor Groups attending.